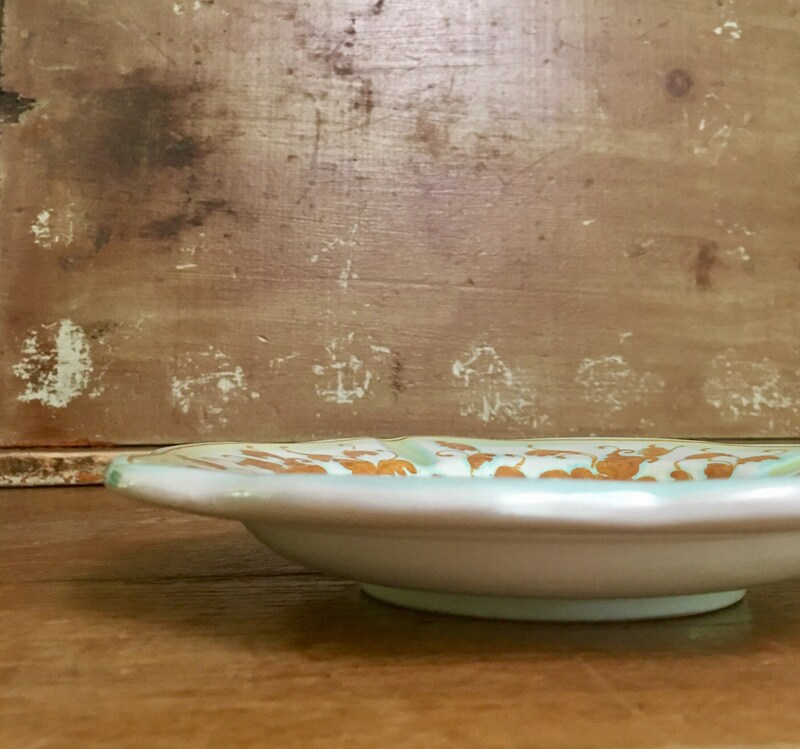 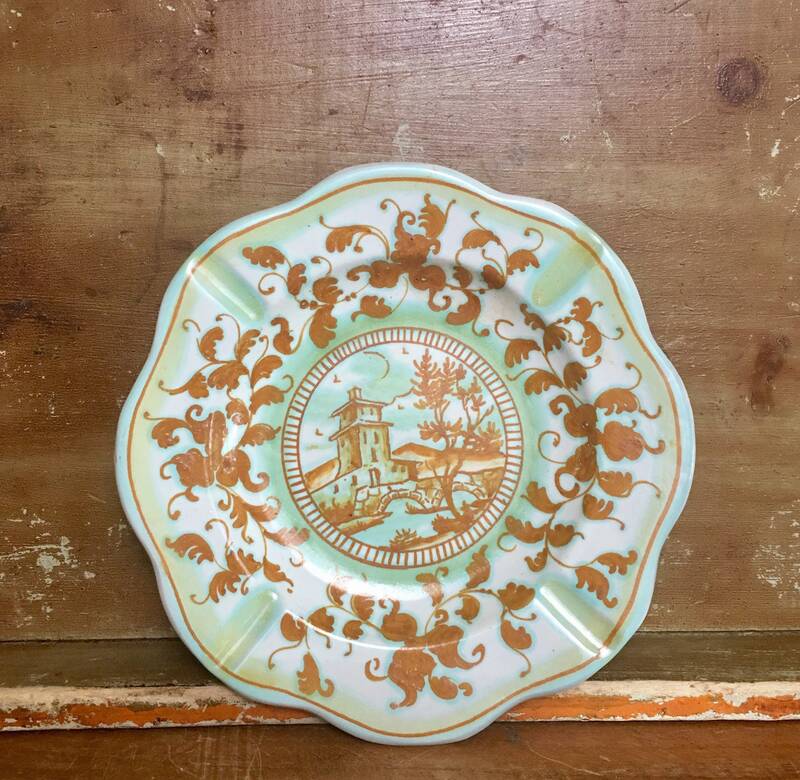 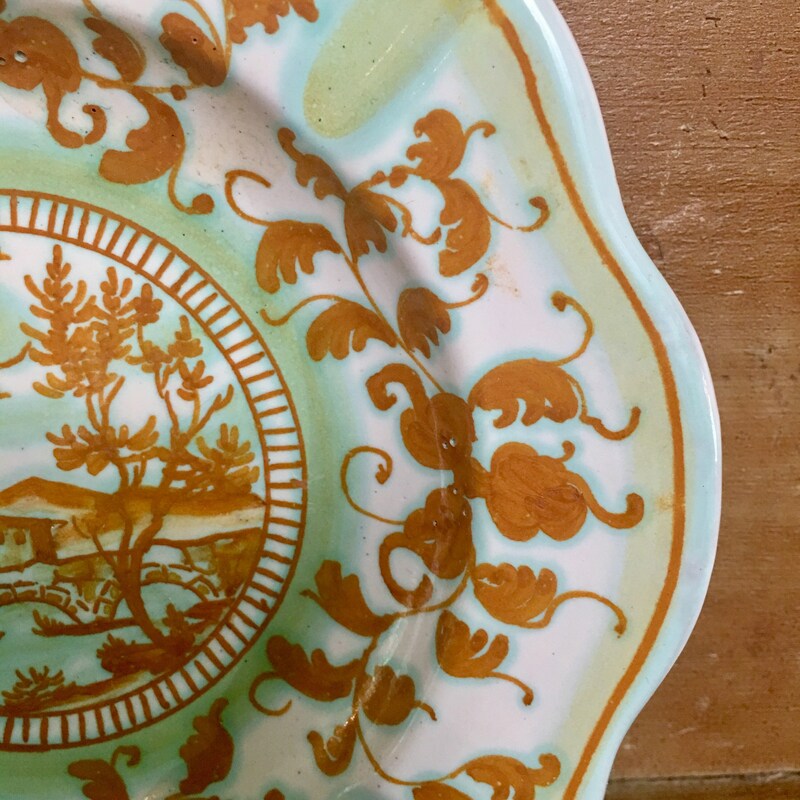 Beautiful vintage hand painted ceramic ash tray or catchall dish. 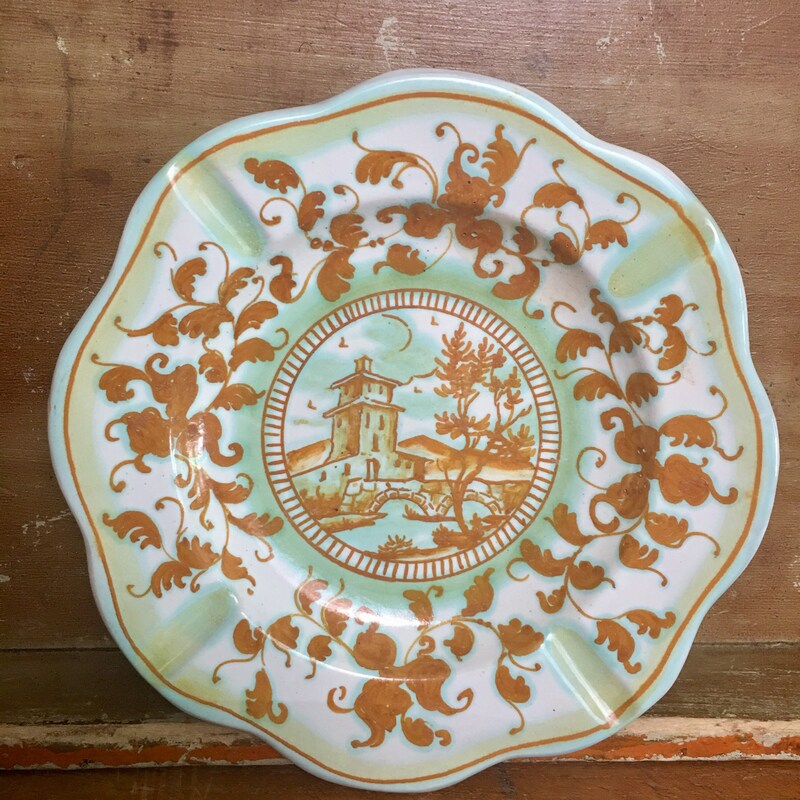 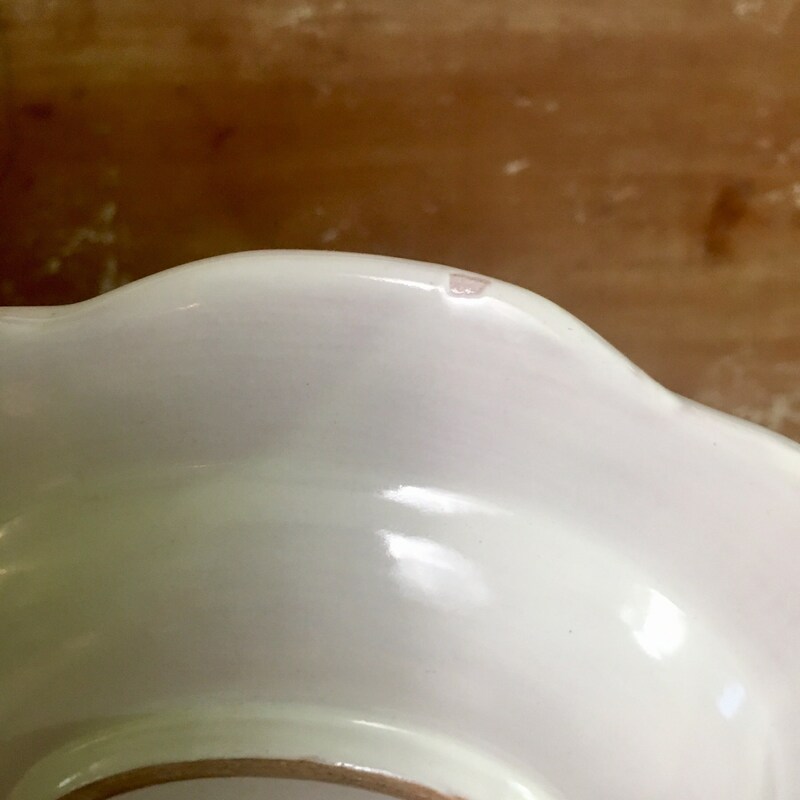 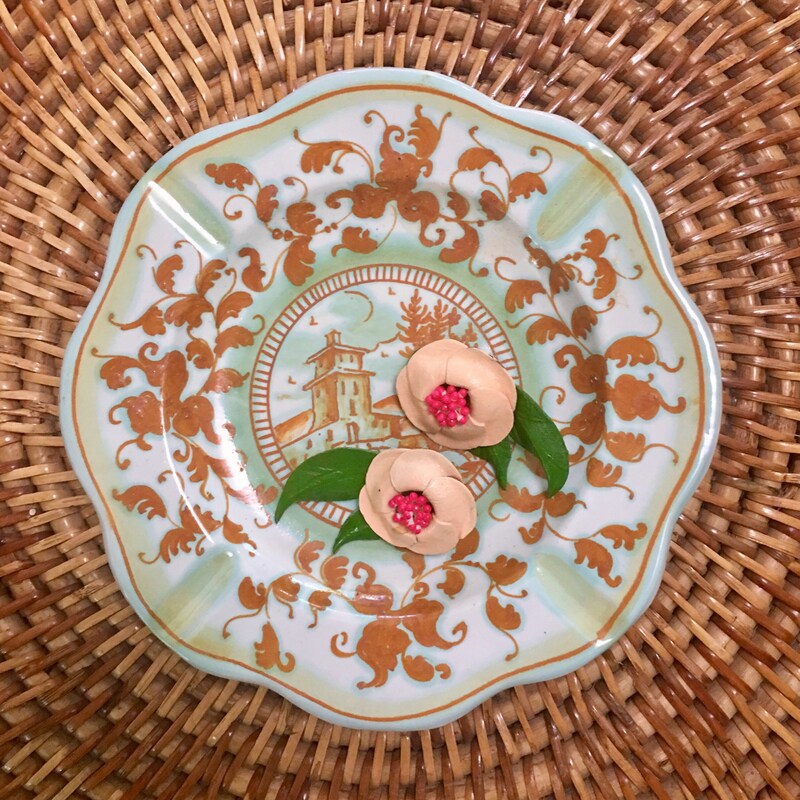 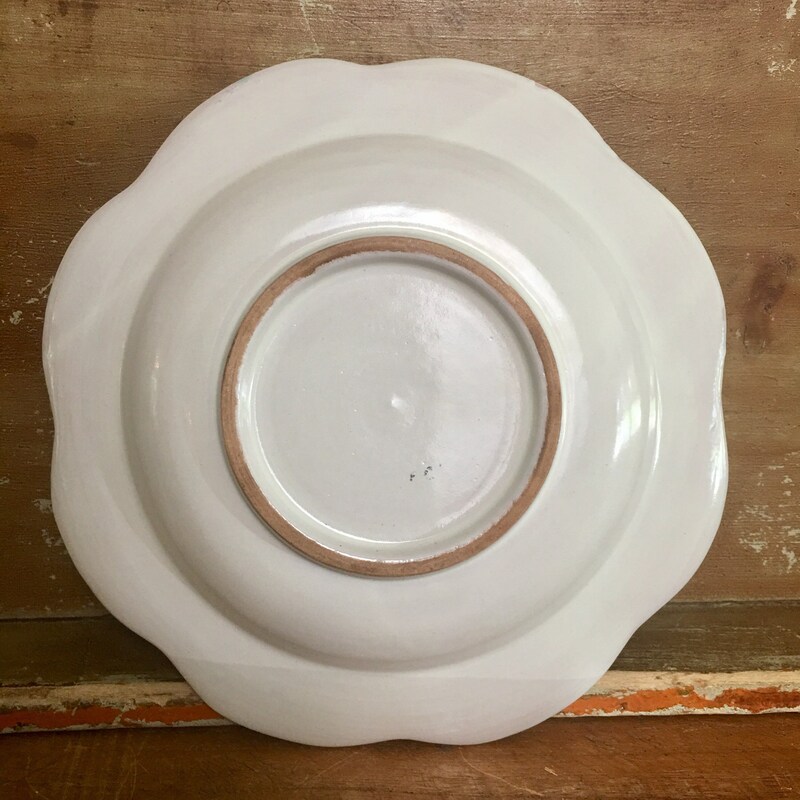 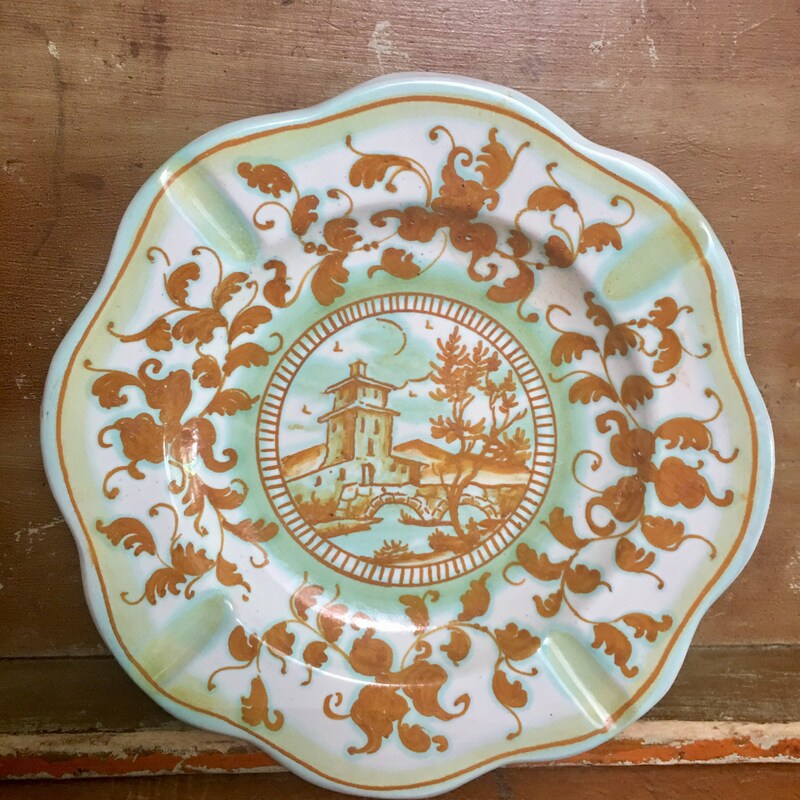 The creamy white dish has been painted in a pale blue green and detailed in a burnt orange shade. 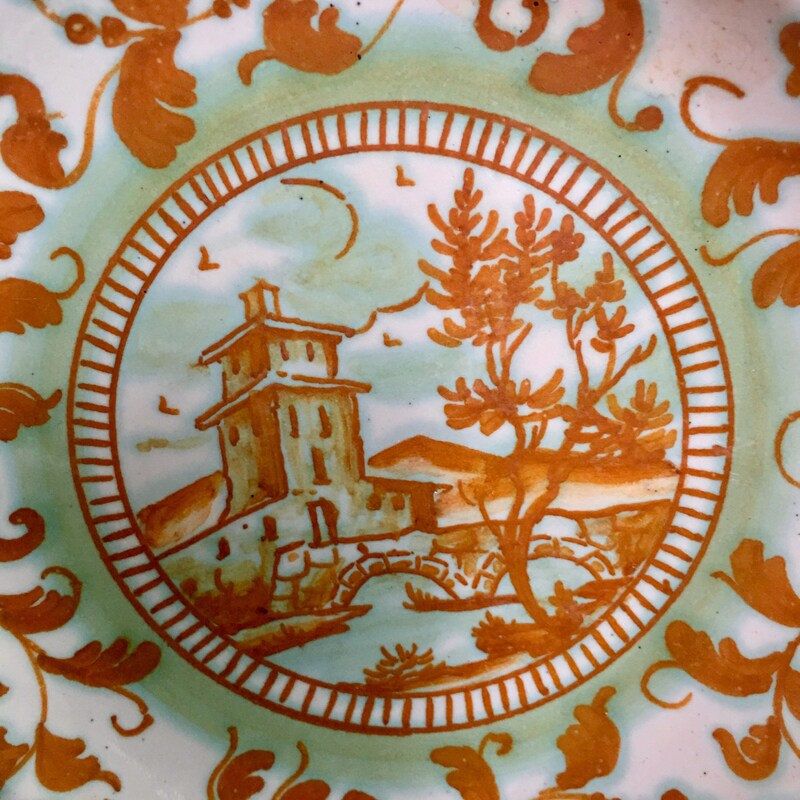 The dish has not been marked but my guess is that it is an Italian piece of pottery.